Terms & Conditions of real estate Brokerage define business relations between the real estate Agency and its Principal (person or legal entity). By entering into a real estate Brokerage agreement the Principal confirms that he/she is aware of and agrees with the provisions of these Terms & Conditions. General terms of Brokerage agreement are contractual provisions valid for majority of contracts which one contracting party (the party drafting the contract) proposes to the other contractual party, whether they be contained in the standard (formulary) agreement, or referred to in the agreement. These Terms & Conditions specify the terms of real estate Brokerage, conclusion of Agency agreements, rights and obligations of the Agency and contractual parties in property purchase process, Brokerage fee, and rights and obligations on termination of Brokerage contracts. Real estate Brokerage are any actions the Agency undertakes in order to liaise between the Principal and the third party, as well as negotiations and preparations for closing legal deals concerning the purchase, sale, rental etc. of a property. Real estate / Properties are land plots including all that is permanently attached on or underground, in accordance with general regulation on ownership and other actual rights. Principal is a person or company with whom the Broker is concluding the real estate Brokerage agreement (seller, buyer, lessor, lessee, and any other parties to a property ownership transfer). Third Party is a person whom the real estate Broker seeks to introduce to the Principal in order to negotiate a business deal regarding a particular property. Viewing Form is a document which records all the properties the Principal has viewed with the Broker, must be signed at the end of every viewing trip and a copy of which can be viewed on the website here www.firstpropertycroatia.com. (1) At the beginning of every viewing the Principal is required to sign the real estate Brokerage agreement, a copy of which we will provide you in advance. (2) In signing the real estate Brokerage agreement, the Broker assumes the obligation to try to find and bring in contact with the Principal a third party interested to make a property sale or purchase contract with this Principal; and the Principal undertakes to pay the Agency fee in case the sale or purchase is made. (3) The real estate Brokerage agreement is made in written form and is of unlimited duration, unless a duration period is agreed between the Parties and written into the real estate Brokerage agreement. (4) Should one of the Parties wish to terminate the Brokerage agreement, this Party is obligated to issue a written termination notice to the other Party. (5) Unless otherwise stipulated in our Terms & Conditions, the regulations found in the Obligations Act are to be applied when considering the relationship between the Agency and the Principal. (6) The real estate Brokerage agreement must contain information on the real estate Agency, the Principal, type and essential content of the business subject for which the Brokerage is being carried out, information on Agency fee and any extra costs which may occur while the Broker provides services approved by the Principal and in connection with the sale/purchase subject of the Brokerage. (7) The real estate Brokerage agreement may contain other information related to the business subject of Brokerage (for example especially agreed deadlines, contractual terms and conditions of payment of Agency fees, information on liability insurance, insurance terms and conditions of payment of Agency fees etc.). (8) The real estate Brokerage agreement is to be supplemented with a viewing form. The viewing form is to be completed by the Broker and signed by the Principal at the end of the viewing trip. (1) In a real estate Brokerage agreement, the Principal may agree to exclusively use the Brokerage services provided by one particular Broker, i.e. that he/she shall not employ another Agency. This obligation must be clearly stated in the agreement. (2) Should the Principal conclude a sale or purchase contract without having consulted or informed the Broker with whom he/she signed the exclusive agreement, the Principal is obligated to cover any costs occurred during the Brokerage. These costs must not exceed the Brokerage fee. (3) On signing the exclusive Brokerage agreement, the Agency is to take care to inform the Principal of the meaning and legal consequences of this clause. (1) Our offer is based on the information we receive in writing and verbally from the Principal. Errors are possible in the description and price of the property; also there is possibility that the advertised property is already sold, rented, or that the seller decided to take the property off the market. (2) The Agency reserves the possibility of errors in the description and/or price of the property; or if the advertised property is already sold and/or rented, and/or that the seller decided to take the property off the market, as a result of incorrect information provided by the seller. (3) The Agency is not responsible for any errors or negligent behavior by the Seller. The Broker is not responsible for omissions or damage caused by limitations and hidden flaws of the property, and which the Principal knew or should have known, but failed to notify the Broker about. (4) During the purchase process, the final purchase contract may be preceded by a preliminary purchase contract. The preliminary purchase contract is a document in which the obligation is assumed to sign a final purchase contract at a later stage. This preliminary contract must contain all relevant information necessary in order to describe the property and state its purchase price. On signing the preliminary purchase contract, a reservation deposit is paid (a certain amount of money which is given to the seller by the buyer as a sign that an agreement has been made). Property ownership transfer is not possible on a basis of a preliminary purchase contract; it can only take place after signing the final purchase contract. The prices of properties are in Euros, payable in Kuna counter value, according to the exchange rate agreed by both parties. In the event that no exchange rate is defined, the selling rate of the Croatian National Bank shall apply. The Broker is not responsible for errors and/or especially negligent behavior by the Principal, in particular for false, incorrect, untimely information, or omitting to provide true, correct, updated information on properties, or conditions and subject of Brokerage. (1) The real estate brokerage agreement does not authorize the Agency to accept on Principal’s behalf the fulfillment of obligations arising from a contract concluded as a result of the Brokerage. (2) The above requires a special written Power of Attorney. (3) The Broker may, as an exception, conclude a sale or purchase contract on behalf of the Principal, but only if the Principal issues a special Power of Attorney for this purpose. The Principal is not obligated to enter into sale or purchase negotiations with the person found by the Agency, or conclude a contract with this person under terms he/she has given to the Agency; however the Principal shall be responsible for any damage in case he/she acted against the principles of honesty and conscience. – circumstances of pre-emption rights and limitations in sale & purchase according to special regulations. (9) inform the Principal on all circumstances relevant for the intended deal, of which the Broker is or should be aware of. inform the Broker of any changes associated with the subject property, especially the changes in the ownership over the property. (2) the Principal is not obligated to enter into negotiations or close a deal with a client brought to him/her by the Broker, and any clause in the real estate brokerage agreement that would state otherwise is considered null and void. (3) the Principal shall be responsible for any damage occurred as a result of his/her failing to act in good faith and to the principles of honesty and conscience, and is to compensate for the costs occurred during the Brokerage. These costs must not exceed the real estate brokerage fee. (4) The fee does not include any of the costs of buying the property. These include but are not limited to; legal fees, notary fees, court fees, accountancy fees, land registry and cadastre fees, property tax, VAT and so forth. (1) The Broker is entitled to the brokerage fee even if the fee has not been agreed upon. (2) In case the amount of the fee has not been determined neither by tariff nor any other general regulation or contract or custom, it shall be determined by the court according to the amount of work done and services provided by the Broker. (3) The brokerage fee paid by the buyer for the brokerage services provided by the Broker is usually 3% + VAT with a minimum fee of €4000 + VAT. However, the fee is subject to the real estate brokerage agreement signed between the Broker and the buyer and can go either up or down. 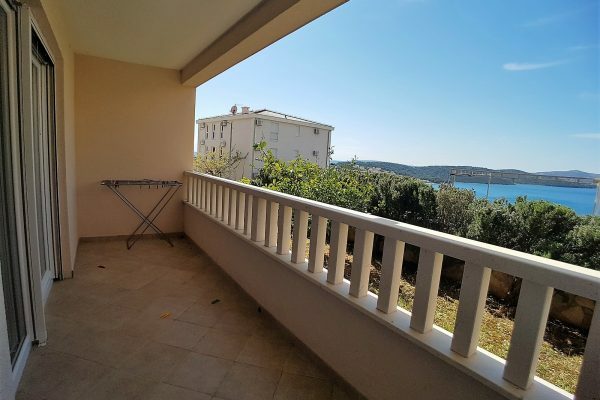 Furthermore, the Broker reserves the right, in accordance with the Croatian law of real estate, to charge the seller of the property for providing his services should the seller agree to pay a fee. (4) Should the Principal offer a higher commission to the Broker, the Broker may accept this fee but only if it is in harmony with the work done and the result achieved, as well as with the financial situation of the Principal. – payment of any part of the purchase price or the agreed fee to the seller (e.g. total price, reservation deposit, first instalment of the purchase price). (2) The Broker shall be entitled to the brokerage fee even in case when the Contract mentioned in Para 1 is concluded by the Principal’s, spouse, partner, relative in a straight line or in the sideline to the second degree or any other person(s) close to him/her (e.g. an authorized person, an employer or an associate). (3) The Broker shall be entitled to the brokerage fee even in case when the Contract mentioned in Para 1 is concluded by a Company if that Company is established by the Principal or by any of the persons mentioned in Para 2, or if the Principal and any of the persons mentioned in Para 2 together hold over 50% (fifty per cent) of shares (business interests, shares etc.). (4) When the contract is made under abrogation clause, the fulfillment of terms has no bearing on the broker’s right to the brokerage fee. (5) In case of the invalidity of the contract, the Broker retains the right to the brokerage fee if the cause of invalidity has not been known to the Broker. (1) The Brokerage agreement is considered terminated after a written termination notice from the Party wishing to terminate the agreement is delivered to the other Party. (2) The Principal shall cover extra costs for services provided outside the usual fee if any such costs and services have been agreed upon in the brokerage agreement. (3) If the Principal concludes a Sale & Purchase Contract within 2 years upon the termination of the brokerage agreement, and this Contract would be a result of Broker’s work, the Principal shall pay the full brokerage fee to the Agency. (4) Provisions of paragraphs 2 and 3 of this Article also refer to the termination of exclusive brokerage agreements. (1) The business relations between the Broker and the Principal which are defined neither by these Terms& Conditions, not by an exclusive brokerage agreement; the provisions of the Law on Real Estate Brokerage shall indirectly apply, and in case they are not determined by this Law, then the Obligations Act shall apply. (2) Provisions of these Terms & Conditions shall apply in an appropriate manner to any contractual relations not yet completed but set forth before these Terms & Conditions became effective. (3) In case of any disputes arising from and in relation to this Agreement, the parties agree to the competence of the relevant court in Split. Coulson d.o.o. is committed to safeguarding your privacy. Contact us at if you have any questions or problems regarding the use of your Personal Data and we will gladly assist you.Coulson d.o.o. is committed to safeguarding your privacy. Contact us at if you have any questions or problems regarding the use of your Personal Data and we will gladly assist you. (1) Personal Data – any information relating to an identified or identifiable natural person. (2) Processing – any operation or set of operations which is performed on Personal Data or on sets of Personal Data. (3) Data subject – a natural person whose Personal Data is being Processed. (4) Child – a natural person under 16 years of age. – we will do our best to ensure the integrity and confidentiality of data. (1) Right to information – meaning you have to right to know whether your Personal Data is being processed; what data is gathered, from where it is obtained and why and by whom it is processed. (2) Right to access – meaning you have the right to access the data collected from/about you. This includes your right to request and obtain a copy of your Personal Data gathered. (3) Right to rectification – meaning you have the right to request rectification or erasure of your Personal Data that is inaccurate or incomplete. (4) Right to erasure – meaning in certain circumstances you can request for your Personal Data to be erased from our records. (5) Right to restrict processing – meaning where certain conditions apply, you have the right to restrict the Processing of your Personal Data. (6) Right to object to processing – meaning in certain cases you have the right to object to Processing of your Personal Data, for example in the case of direct marketing. (7) Right to object to automated Processing – meaning you have the right to object to automated Processing, including profiling; and not to be subject to a decision based solely on automated Processing. This right you can exercise whenever there is an outcome of the profiling that produces legal effects concerning or significantly affecting you. (8) Right to data portability – you have the right to obtain your Personal Data in a machine-readable format or if it is feasible, as a direct transfer from one Processor to another. (9) Right to lodge a complaint – in the event that we refuse your request under the Rights of Access, we will provide you with a reason as to why. If you are not satisfied with the way your request has been handled please contact us. (10) Right for the help of supervisory authority – meaning you have the right for the help of a supervisory authority and the right for other legal remedies such as claiming damages. (11) Right to withdraw consent – you have the right withdraw any given consent for Processing of your Personal Data. (1) Information you have provided us with – This might be your e-mail address, first and last name, billing address, home address, phone number etc – mainly information that is necessary for delivering you a product/service or to enhance your customer experience with us. We save the information you provide us with in order for you to comment or perform other activities on the website. This information includes, for example, your first and last name, e-mail address and phone number. (2) Information automatically collected about you – This includes information that is automatically stored by cookies and other session tools. For example, your shopping cart information, your IP address, your shopping history (if there is any) etc. This information is used to improve your customer experience. When you use our services or look at the contents of our website, your activities may be logged. (3) Publicly available information – We might gather information about you that is publicly available. (5) We Process your Personal Data in order to fulfil obligation rising from law and/or use your Personal Data for options provided by law. We reserve the right to anonymise Personal Data gathered and to use any such data. We will use data outside the scope of this Policy only when it is anonymised. We save your billing information and other information gathered about you for as long as needed for accounting purposes or other obligations deriving from law, but not longer than. – there would be appropriate safeguard for Processing. We do not share your Personal Data with strangers. We disclose your Personal Data to third parties or public officials when we are legally obliged to do so. We might disclose your Personal Data to third parties if you have consented to it or if there are other legal grounds for it. Children: We do not intend to collect or knowingly collect information from children. We do not target children with our services. (2) A cookie is a tiny text file stored on your computer. Cookies store information that is used to help make sites work. Only we can access the cookies created by our website. You can control your cookies at the browser level. Choosing to disable cookies may hinder your use of certain functions. – Necessary cookies – these cookies are required for you to be able to use some important features on our website, such as logging in. These cookies don’t collect any personal information. – Functionality cookies – these cookies provide functionality that makes using our service more convenient and makes providing more personalised features possible. For example, they might remember your name and e-mail in comment forms so you don’t have to re-enter this information next time when commenting. – Advertising cookies – these cookies are used to deliver advertisements that are relevant to you and to your interests. In addition, they are used to limit the number of times you see an advertisement. They are usually placed to the website by advertising networks with the website operator’s permission. These cookies remember that you have visited a website and this information is shared with other organisations such as advertisers. Often targeting or advertising cookies will be linked to site functionality provided by the other organisation. (4) You can remove cookies stored in your computer via your browser settings. Alternatively, you can control some 3rd party cookies by using a privacy enhancement platform such as optout.aboutads.info or youronlinechoices.com. For more information about cookies, visit allaboutcookies.org.